Samsung have announced they’re ceasing production of their flagship Note 7 phone after a series of incidents where the device overheated and even caught fire. The move follows a recall in September after reports of devices emitting smoke. Samsung issued replacements to affected customers, although the replacement devices appear to suffer from the same issue. The Note 7 received rave reviews upon release, with particular praise for its design, its vivid 5.7” Super AMOLED screen and its performance. Engadget even went as far to call it a ‘…strong contender as the best Android phone you can find right now’ (although they withdrew their recommendation after the initial recall). The Galaxy S7 Edge is pretty much the closest alternative to the Note 7, sharing many of its features and offering equally smooth performance. The main difference between the two is screen size: the S7 Edge has a 5.5” Super AMOLED display, whereas the Note 7’s display is 5.7”. It boasts similar power though and has the same 12 megapixel camera too. Google couldn’t have timed the launch of their first phone any better. With the Note 7 off the scene, the Pixel XL has a clear run at the ‘best Android phablet’ title. The XL has a 5.5” Quad HD screen, a Qualcomm Snapdragon 821 processor and 3GB RAM for super smooth performance and the best camera on a smartphone to date (according to DxOMark Mobile, who rated it 89/100). It also has Google’s exciting new AI assistant built in as standard. As well as doing the standard assistant stuff, it can also understand and respond to follow up requests and provide information based on what’s on your screen. 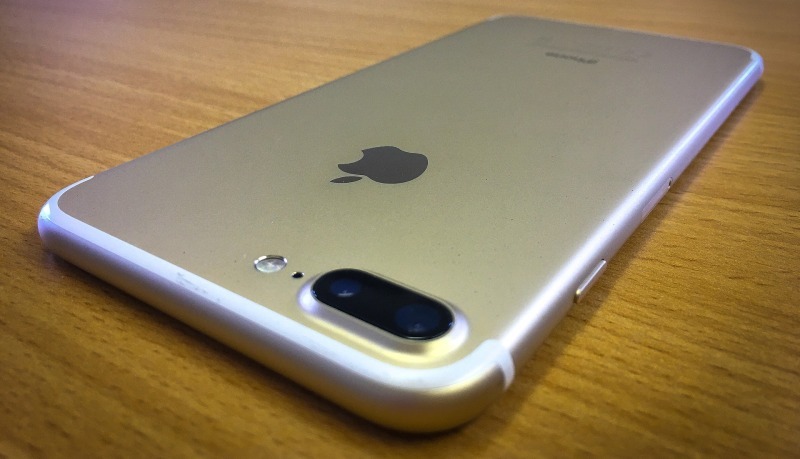 Although we’re still not used to the lack of a headphone jack, the iPhone 7 Plus is a mightily impressive device with plenty of features to tempt Android users. The iPhone 7 Plus’ design isn’t too dissimilar to most Android flagships, with a 5.5 inch screen and a metal unibody build (which comes in a number of lovely colours too). It also has the most powerful iPhone processor to date, capable of handling the most demanding apps and games. The dual rear camera is one of the best available too, snapping near-DSLR-camera quality images. OnePlus aren’t a household name like Apple or Samsung, but they’ve won the adoration of tech enthusiasts with their powerful-but-reasonably-priced handsets. The OnePlus 3 is their best phone to date, boasting a 5.5” 1080p screen, a super fast Snapdragon 820 chip, a whopping 6GB of RAM and a Dash Charger, which can fill your battery to full in less than an hour. Those are the kind of specs you’d expect from a top-of-the-line flagship phone, but the OnePlus 3 doesn’t have a flagship price tag – it only costs around £300! Motorola have quietly become one of the best Android manufacturers around over the past few years with a series of feature-packed devices at surprisingly low prices. The X Style’s main selling point for Note 7 admirers is its screen; at 5.7”, this Quad HD display is the same size and offers almost as brilliant clarity too. Although it’s not quite as powerful as the Note 7, most users will find the X Style more than suitable for their requirements – the 21 megapixel camera is especially impressive. It only costs £359 too, a couple of hundred quid cheaper than the Note 7! If you’re planning to upgrade to a new handset, sell your mobile phone with musicMagpie! It’s fast, FREE and easy: just get an instant price, pop your phone in a box, send it for FREE and we’ll pay you on the same day we receive it – giving you cash to upgrade sooner! iOS 10 isn’t available on the iPhone 4s. Here’s what to upgrade to next. ← Google Pixel: is it the best Android phone to date?